Dublin city has a long and chequered history, dating back to the Viking Settlement at Wood Quay over a thousand years ago. 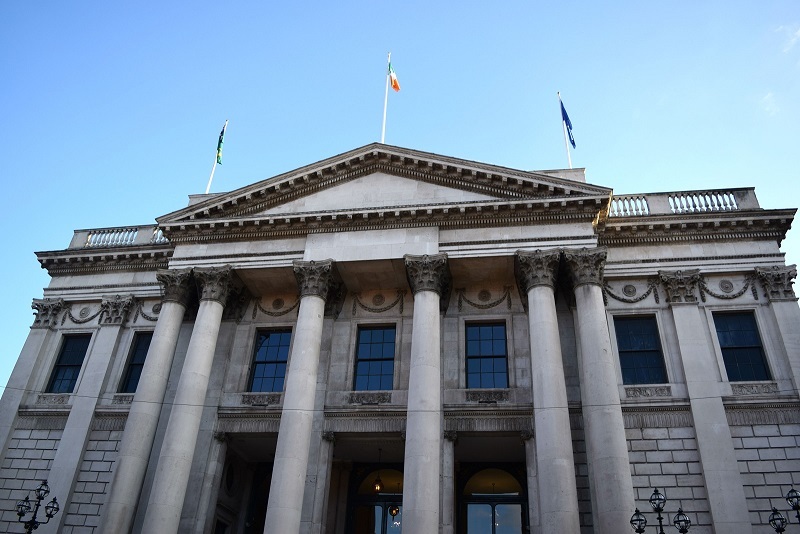 In 2016, the city is reflecting on one hundred years since the Easter Rising. The Rising was led by seven men, aided by a small army of volunteers, with the aim of ending British rule in Ireland and declaring an Irish Republic. 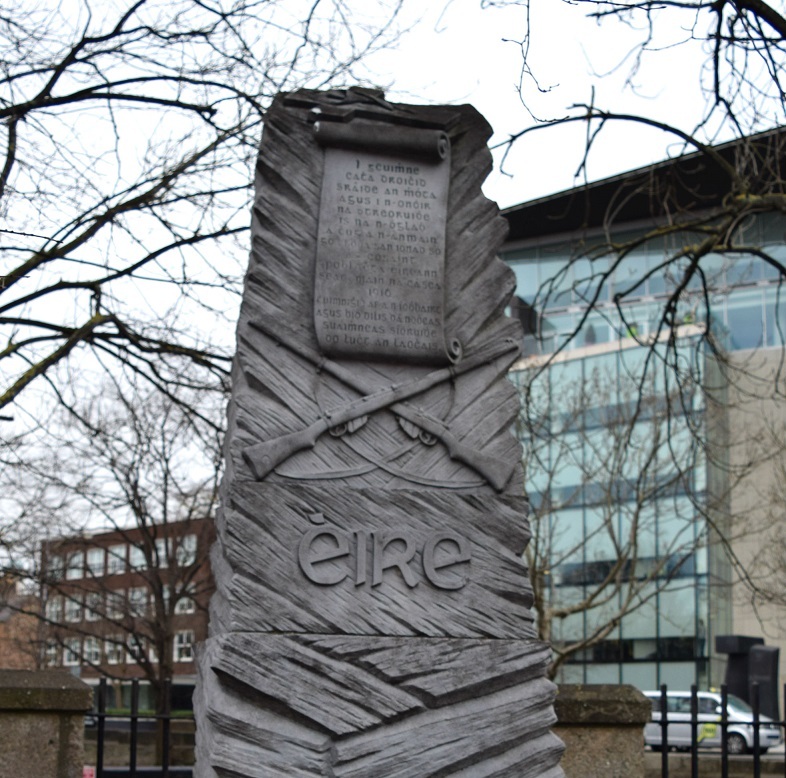 Although the Rising ultimately failed, it is regarded as a turning point in Irish Republicanism, which led to the foundation of the Irish Free State in 1922. 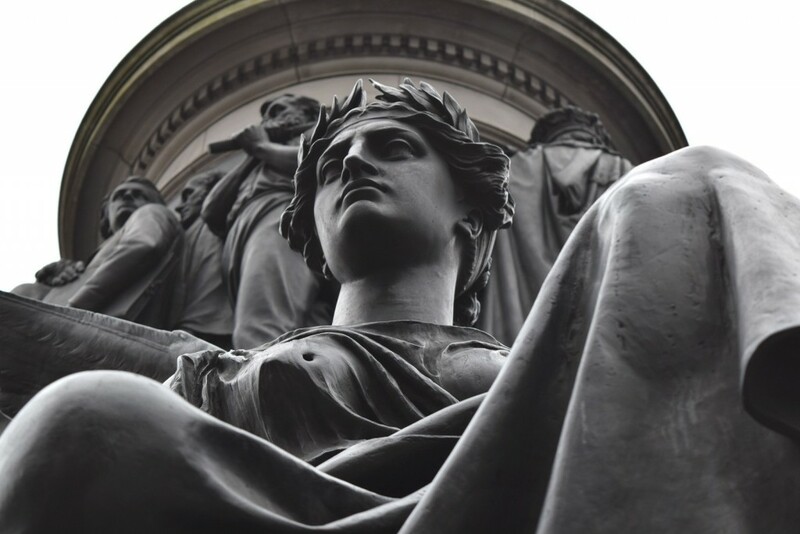 I took a ramble around the city to take a look at some of the most historically important sites, many of which we hurry past every day, without realising the significance of the events that took place there. I started my walk on the south side of the River Liffey at Boland’s Mill on Grand Canal Street, which was the garrison under Commandant Eamon de Valera, one of only two rebel leaders who escaped execution. Heading along the Grand Canal towards Mount Street, you will arrive at Mount Street Bridge. 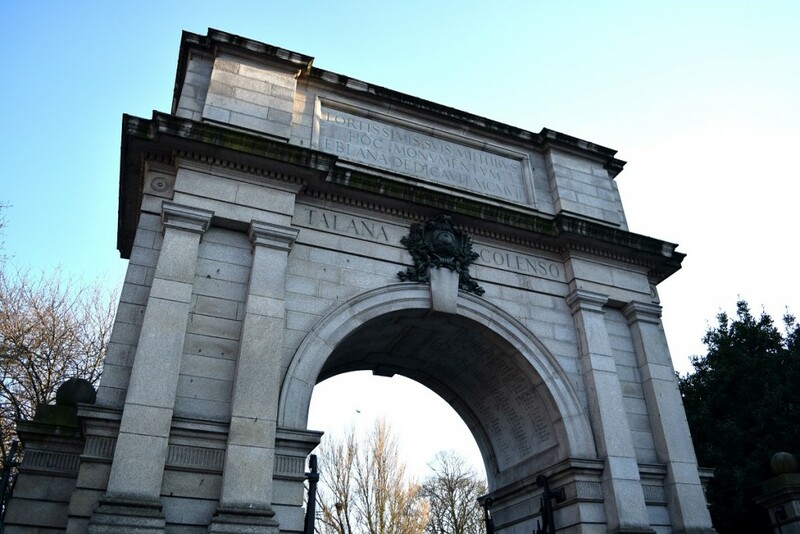 The bridge was considered by the rebels as one of the key strategic points of access into the city and they positioned men here, as well as at 25, Northumberland Road and Clanwilliam House, on either side of the Grand Canal. As British troops advanced from Dun Laoghaire (then named Kingstown) towards the city, they were met with volleys of gunfire from Northumberland Road and further fire as they reached the bridge. The Battle of Mount Street Bridge is probably the most famous struggle of the rebellion. There is a memorial to the volunteers who died in this area located on the Northumberland Road end of the bridge, at the corner of Percy Lane. From here, it’s up to St. Stephen’s Green and the Royal College of Surgeons, where Commandant Michael Mallin and his second in command, Countess Markievicz – arguably the most famous woman of the Rising who, along with de Valera, was spared the death sentence – were assigned to the vast space of St. Stephen’s Green. You can still see many of the markings from the bullet holes that peppered the front columns, as well as a plaque commemorating what happened here a hundred years ago. Just across the road, Fusilier’s Arch at the main entrance to the Green also bears the markings of the rebellion, having been caught in a crossfire. Continuing on down Grafton Street, and onto College Green, where the rebels failed to take Trinity College, which was defended by a small number of armed unionist students. 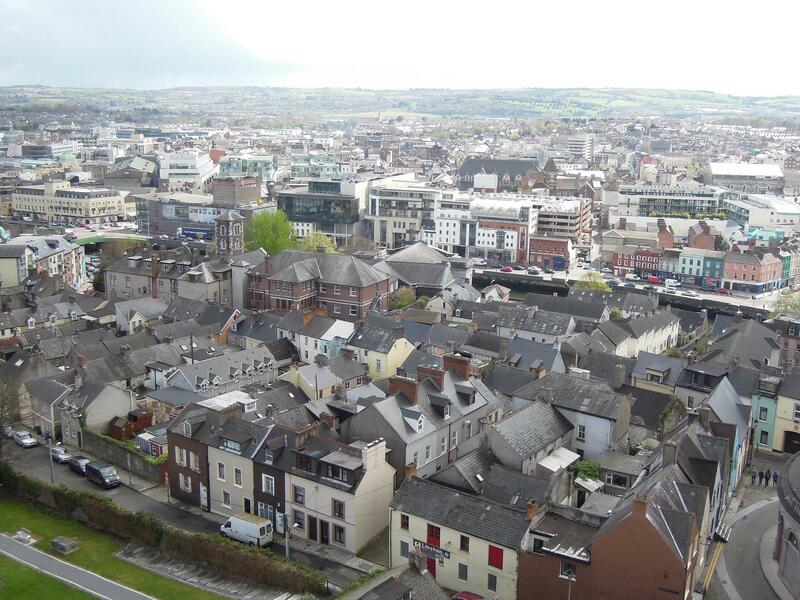 A short walk down Dame Street and you will arrive at the City Hall garrison. The rebels attempted to take the adjacent Dublin Castle, centre of British Rule, but ultimately failed. To the right of the main entrance to City Hall, you will find a plaque with the names of all the volunteers who died at City Hall and its various outposts. To the left of the entrance and at street level, there is a brass plaque specifically for the four members of the Irish Citizen Army that lost their lives in the building. Crossing over O’Connell Bridge to the north side of the city, the imposing Daniel O’Connell monument bears many bullet holes from the Rising. O’Connell himself has several markings, but there are also bullet holes visible lower down on the Maid of Erin (see her left arm holding a parchment) and on three of the four angels surrounding the monument. The rebels occupied buildings on both southern corners of O’Connell Street (Sackville Street at the time), as well as the building which until recently housed Clerys department store (the Imperial Hotel in 1916). 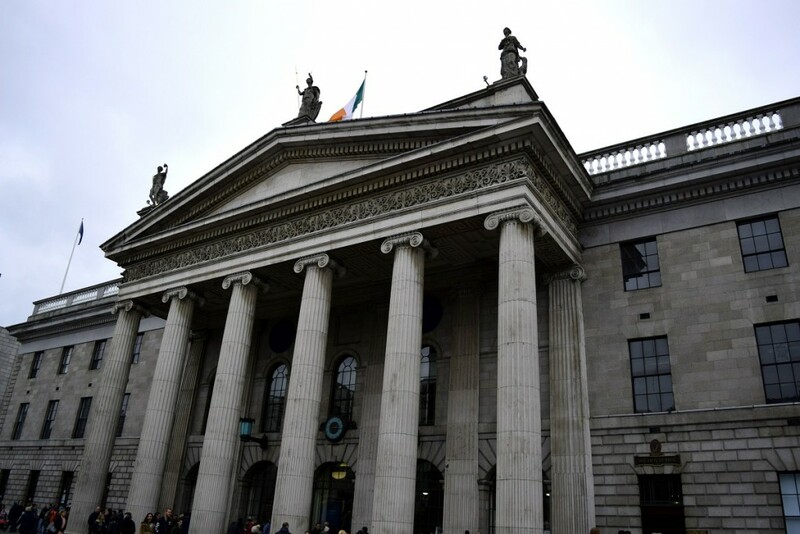 The main garrison was at the General Post Office (GPO), where James Connolly, the Commandant of the entire Dublin Brigade, and other members of the Military Council were initially based during the rebellion. Walking down the street today, it is easy to forget how key a location this bustling thoroughfare was during the events of Easter week, 1916. Just off O’Connell Street, in one of Dublin’s busiest shopping areas, 21 Henry Street was once the home and business of Jennie Wyse Power, who was heavily involved in the nationalist movement in Ireland and she often allowed the rebels to hold meetings at her shop here. This was the site of the signing of the Proclamation of the Irish Republic. Padraig Pearse, one of the leaders and signatories, walked around the corner on Easter Monday, 1916 and read the Proclamation aloud on the steps of the GPO. You will find a commemorative plaque at this site, very unassumingly fixed to the wall between two shopfronts. It’s easily missed if you don’t know it’s there. Heading back towards the river and a walk westwards along the Quays will take you to the Four Courts, which was the garrison under Commandant Edward ‘Ned’ Daly. Around the corner, on Chancery Place, is the red-bricked Medical Mission building, where a group of British lancers took shelter. The building was peppered with bullets and the extensive damage is still very much evident today. North King Street, just north of here, saw some of the most intense fighting of the rebellion. Crossing back over to the south side of the Liffey and past Heuston Station, you will arrive at Kilmainham Gaol on Inchicore Road. It was here that 14 of the Rising leaders were executed in the Stonebreaker’s Yard. 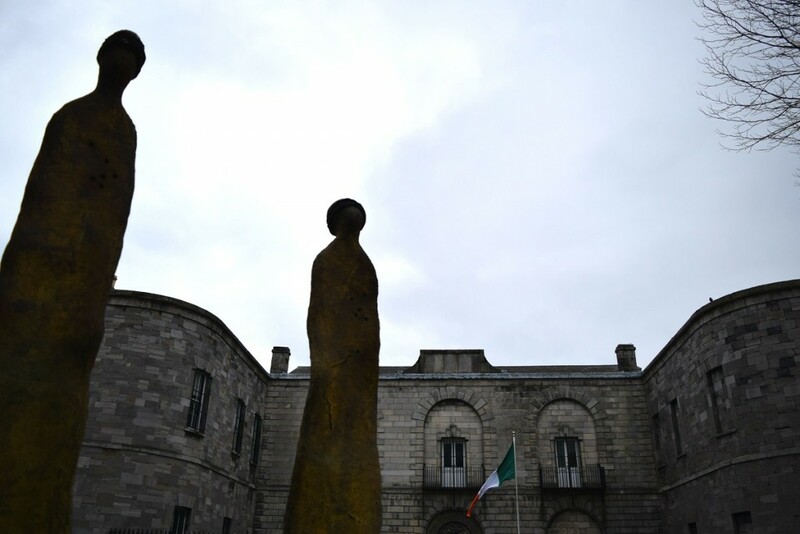 Across the road from the Gaol entrance, there is a powerfully haunting sculpture depicting the 14 executed with rags covering their eyes and bullet holes in their chests, standing in a circle, surrounding a brass plaque inscribed with the Proclamation. The last stop on the tour, is north of the river again, at Arbour Hill Cemetery, where the 14 leaders executed at Kilmainham Gaol were laid to rest. 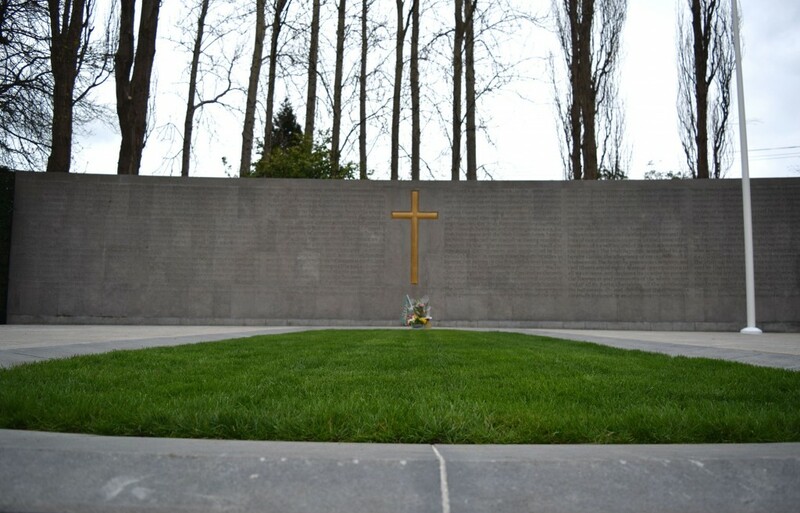 The grave was a result of orders from General Maxwell of the British Army two days before the rebel surrender, stipulating that a lime pit be dug in the yard of Arbour Hill Prison, to bury the executed leaders. The above only covers a part of the ground where the Easter Rising was fought in Dublin, but I hope it will help the events to come alive for you. 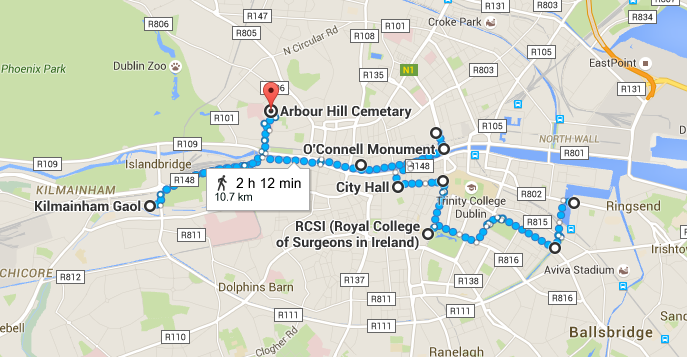 You can see the route on Google Maps here: http://tinyurl.com/Dublin-1916-Walking-Tour. Whilst the capital city is ever-changing, the memories of our recent past still very much surround us. Sarah Murphy is a blogger working 9-5 to pay for her next adventure. 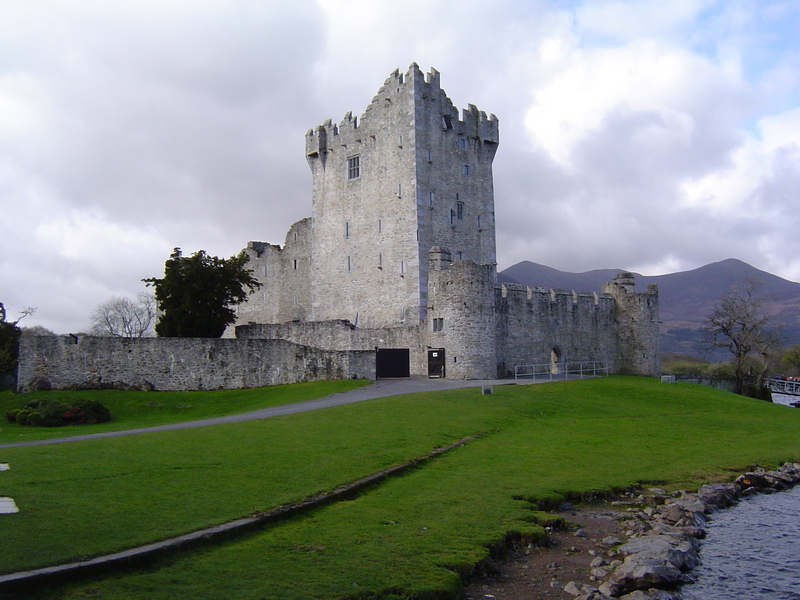 When she’s not travelling the world or planning her next trip, she spends her weekends discovering hidden corners of Ireland thanks to her other passion, geocaching. You can read about her travel and geocaching experiences at her blog thegeocachingjunkie.com.